In a NZ Herald article published in late 2016, Lizzie Marvelly delved into the realities of period poverty in New Zealand, titling the piece “Girls missing school because of periods is a national disgrace”. We couldn't agree more with Marvelly’s statement. Unfortunately, almost 2 years on from the wave of news stories and articles that first brought this issue to our attention, period poverty remains an issue for females throughout our country. We founded our social enterprise Necesse in early 2017 in an effort to address this ongoing issue. The idea was simple - subscription tampons, with every order resulting in the donation of a box of tampons to women in need – enabling women to support other women. We began our research into the tampon industry and shortly after made the decision to stock organic cotton tampons so that we could ensure the quality of our product and have less of an impact on the environment. An unexpected side result of endlessly researching tampons on the internet meant we couldn't scroll through our social media pages without being bombarded with ads from every supermarket tampon brand under the sun… a problem that we still haven't managed to solve. With our business idea locked in, our next step was to sit down with Aviva (formerly the Christchurch Women’s Refuge) to find out if they would be interested in signing up to be our first charitable partner. By the end of our meeting, the partnership was sealed, and to date we’ve donated almost 2000 tampons to Aviva to distribute to their female clients. With a focus on keeping our business local (one of the best decisions we made), we’ve also been able to support other kiwi businesses - producing our packaging locally in Christchurch rather than overseas, using NZ Post for our deliveries and collaborating with other start-ups and social enterprises throughout our PledgeMe campaign. The road from initial idea and securing our charity partner to rolling out a fully operational tampon subscription business has not been entirely smooth. Finding a reliable supplier, crowdfunding our first shipment of 100,000 tampons, shipping product from the other side of the world and establishing a distribution network with New Zealand all proved to be learning curves for us as newbie female social entrepreneurs. Thrown into the mix – a rebrand, shipping delays and long-distance communication but also a start-up challenge win, much needed media attention to our crowdfunding campaign and finally, the establishment of sales direct from our website. Fortunately, we didn’t do it alone! Throughout the journey we’ve benefited enormously from a solid support network, including many amazing women – friends, crowdfunding supporters, mentors and of course our Necesse subscribers. That has certainly been one of the most remarkable things we’ve noticed throughout the process; the extraordinary generosity of those who have helped us turn our idea into a reality. 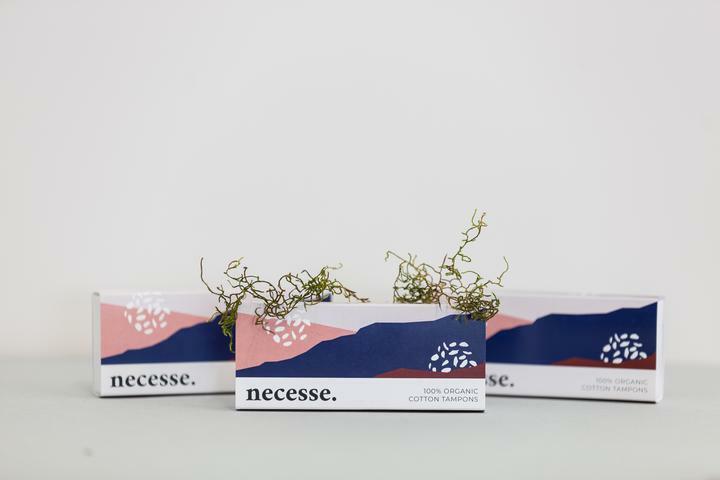 They’ve backed us from the beginning and helped us to stick to what was important to us when we founded Necesse, which is why we continue to refer to Necesse as a ‘collective of women supporting women’. Our biggest advice to others navigating a similar journey; have a clear mission which reflects the problem you’re passionate about solving and don’t be afraid to ask for help when you need it - because there really is no reason to go it alone, and the advice and support of others can make all the difference.